Let’s be honest. A comfortable place to sit when you play video games is not only a luxury, but a necessity. 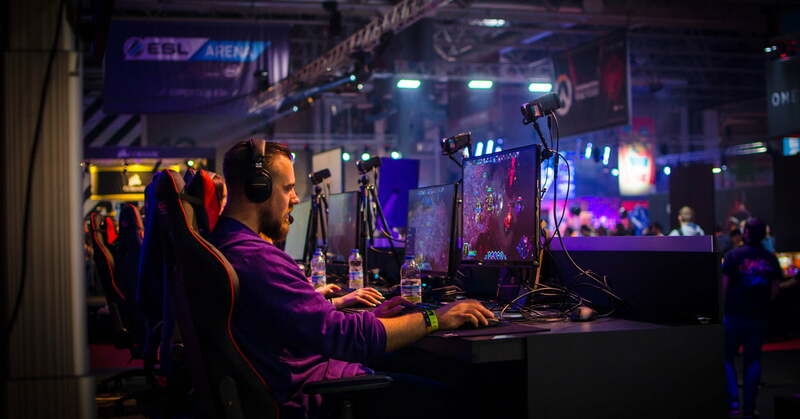 Poor support during long sessions of gaming can lead to serious problems with your posture and no one likes to spend their days nursing an achy back. Luckily, there’s no shortage of options when it comes to snazzy seats for your gaming setup and we’ve put together a list of the best gaming chairs you can get today, all with ergonomic designs, top-notch support, adjustable features, and the most important trait of them all — a comfortable spot for your bum. When choosing the best gaming chair, we look for a product where quality meets value, and that’s the GT Omega Pro Racing chair. It comes with all the standard fare of a typical gaming chair but without the steep price. You can usually find it on sale for $200 less than more well-known brands that tout the same features. It has a good amount of weight to it but it’s stable, and though it can be firm, it does break in over time. If you’re looking for a chair you can have for the long haul, and we mean the really long haul, AKRacing has a generous warranty that covers both the chair and the frame for up to five years. Its price falls into the mid-range ($200-500) but considering the quality and long life-span, it’s definitely worth the investment. Endorsed by professional gamers in Fortnite, Battlefield, Counter-Strike, and Hearthstone, the AKRacing Core Series is also one of the best gaming chairs for eSports players. If you’re willing to dish out the money for a top-tier gaming seat, then Herman Miller’s Aeron Chair is the best you can get. It’s built for the sole purpose of providing top quality ergonomic comfort and support, and can be tailored to fit your specific size and needs. Though the design and color selections are a bit uninspired and you’ll likely pay upwards of $500 for a new one (though you can find them used in office furniture liquidation stores for much less), these chairs are extremely durable and ergonomic. They’re a good bet if you prefer a more upright, supported position, or if you’ll almost exclusively use a keyboard and mouse. Not everyone can afford to spend hundreds of dollars on a fancy seat for gaming. That’s why we’ve included an option that’s affordable. The Furmax Office Chair is the best gaming chair for people on a budget as it’s comfortable, ergonomic, and comes in a variety of colors so you can have the look and feel of a pricey gaming chair but without draining your bank account. Just as the name would suggest, the Secret Lab Titan chair is for perfect for people who require some extra wiggle room. It can handle up to 290 lbs in weight and is recommended for people between the height of 5’7 and 6’6. Fully adjustable and ergonomic, it also comes with a soft velour headrest which is a welcomed step away from the hard, plastic pillows that come with comparable gaming chairs.